Looking for cookies? Slimer's got your sweets! The food-loving ghost made famous by the Ghostbusters series is a ceramic cookie jar! Measuring approximately 12-inches tall, this class-5 apparition is quite solid, so you can't just stick your hand into his stomach and grab what you want, but a removable lid will grant you access to whatever Slimer recently ate. 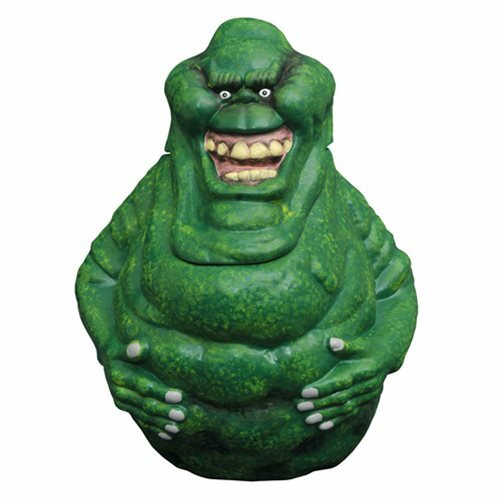 The Ghostbusters Slimer Cookie Jar comes packages in a full color box. Ages 13 and up.